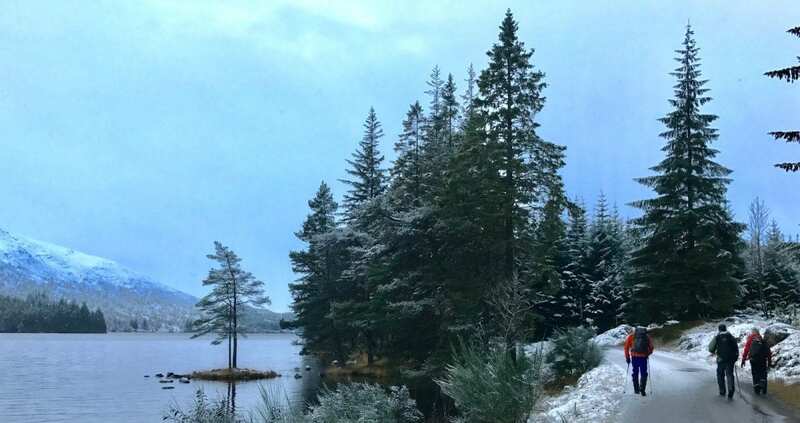 We had an epic mini adventure last week when a few of us walked from Rannoch Station out to Corrour and back with an overnight at the fantastic Loch Ossian Youth Hostel. The weather on the second day was spectacular with Scotland at its awesome best. It was the first snow-bow experience for all of us – or is it a snow halo? Very cool…. We made lots of coffee using our snow peak dripper – sweet Colombian La Esperanza kept us warm in the freeze. Big thanks to Tim Willis for these amazing pictures.